Being self-employed has its advantages and disadvantages. On one hand, you can control your schedule and income. But on the other hand, your income may fluctuate from month-to-month, which can make it harder to get financing. Since you don’t receive a W-2 or paycheck from an employer, getting a mortgage is especially challenging. You’ll undergo a stricter underwriting process, and your lender may request more documentation to assess the stability of your income. But despite tougher guidelines, thousands of self-employed people have qualified for home loans. The key is understanding how lenders verify income for self-employed borrowers. If you are self-employed, it’s important that you file a tax return every year. When applying for a mortgage – or any type of loan – the lender will need to see 12 to 24 months of tax returns. Two year’s worth is typical, and these returns must show income that remains the same, or increases for two consecutive years. It’s important that you provide the lender with all schedules. Be mindful that write-offs can reduce your income on paper. Business expenses lower your taxable income and reduce how much you owe the federal and state government—which is financially beneficial. But unfortunately, deductions also decrease your qualifying amount for a mortgage. The good news is that mortgage lenders can add some deductions back to your income, which helps you qualify for a larger mortgage. These might include car mileage deduction and depreciation of assets. If you’re thinking about applying for a home in the near future, consider limiting your number of write-offs for two years prior to getting the loan. 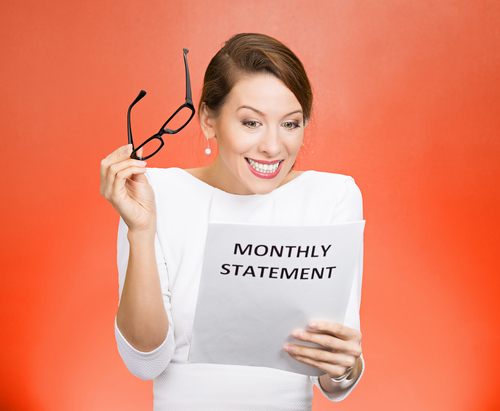 Anyone who applies for a mortgage loan will need to provide their lender with two month’s worth of bank statements. Lenders use bank statements to determine whether a borrower has enough in their savings account to pay a down payment and closing costs. As a self-employed borrower, a sizable savings account serves to your benefit. When your application goes through underwriting, the underwriter might scrutinize your file to ensure enough assets. He’ll check to see whether you have funds for mortgage-related expenses, and he may review your accounts to see if you’ll funds left in reserve after closing on the home loan. 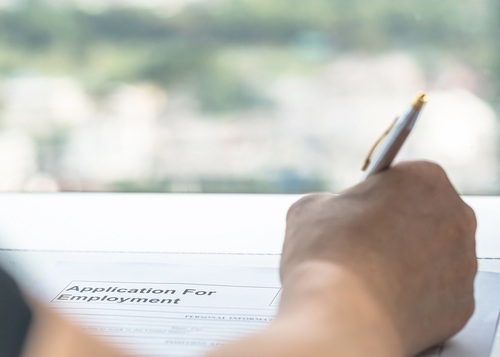 Since you’re self-employed and don’t qualify for unemployment compensation, a sizable reserve can put a lender at ease and make it easier to get a mortgage. If you have a bad month business-wise, you can fall back on funds in your savings account and pay the mortgage. Employees who apply for a mortgage give their lenders copies of their tax returns, and copies of their most recent paycheck stubs. 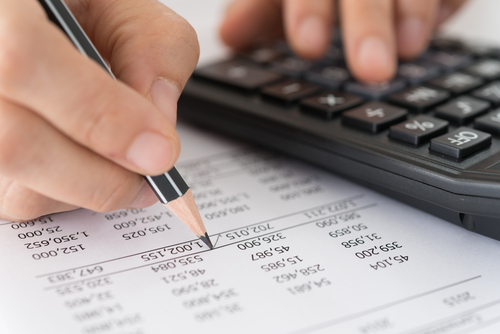 Since you don’t receive a paycheck stub, the lender may request a year-to-date Profit and Loss statement. This statement is generally only required if you apply for a home loan after the first quarter of the year. The lender uses this information to make sure your income hasn’t decreased since filing the previous year’s tax return. This extra document isn’t required by all lenders. If your lender requires an up-to-date income record and you don’t have a Profit and Loss statement, the lender might accept bank statements. The underwriter reviews the most recent monthly deposits to see if they match up with your stated income. A home equity line of credit, also called a HELOC, is a type a revolving account that uses your home’s equity as collateral. A HELOC gives you access to cash when you need it, and you can use funds for a variety of purposes. Some people use a home equity line of credit to pay off debt, make home improvements or cover the cost of their kid’s college education. Typically, you can borrow up to 80% of your equity. But while a home equity line of credit is an option for mortgage borrowers, you shouldn’t get a HELOC from any bank. Here are a few tips to help you choose the right lender for your HELOC. What is the draw period? A home equity line of credit isn’t a traditional loan, so you don’t receive a lump sum or have fixed monthly payments. Instead, you can draw money from your line of credit on an as-needed basis. HELOCs have a draw period and a repayment period. The time frame varies by lender, but you’re typically allowed to draw from the home equity line of credit for up to 10 years and you have 20 years to pay back what you’ve borrowed. If your plans include using your HELOC over several years for items such as home improvements, make sure the lender offers a draw period that gives you sufficient time to access the account. Is there a minimum withdrawal requirement? 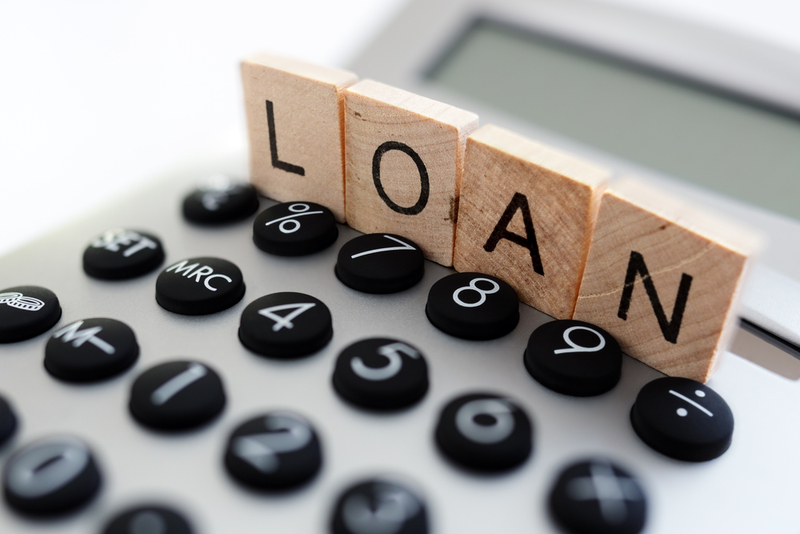 When choosing a lender for your HELOC, you should also inquire about minimum withdrawal requirements. Some lenders penalize borrowers for not using their lines of credit and charge a fee if a withdrawal isn’t completed within a specific period. Minimum withdrawal requirements are dangerous because they force you to take money you don’t need. Every withdrawal taken from the HELOC reduces the amount of equity in your home. Unnecessary withdrawals mean unnecessarily depleting your equity. Many home equity lines of credit have a variable interest rate that can change from month-to-month or year-to-year. It’s important to shop around and get the lowest rate possible. Therefore, you can pay the least amount of interest and enjoy affordable monthly payments. Your interest rate has everything to do with your credit score, so do whatever you can to improve your score before applying for a HELOC. This includes paying off other types of debt like credit card debt. You should also pay your bills on time and dispute any negative errors on your credit report. As you compare different interest rates offered by different lenders, ask about rate caps. Since your interest rate can fluctuate, it pays to work with a lender that offers a cap. This can protect you from skyrocketing rates in the future. Similar to certain types of mortgage loans, some HELOCs have a prepayment penalty. In this case, the lender charges a fee if you cancel or close the HELOC early. Some borrowers are okay with the prepayment penalty because they don’t intend on selling their homes within the penalty period. If you know you’ll move in the next five to seven years, however, choose a lender that doesn’t charge this fee, or else you’ll end up paying more for your HELOC in the long run. Your mortgage is one of your biggest investments, and likely your largest monthly expense. Naturally, you want to protect your investment in the event of your untimely death. For this reason, you might consider purchasing mortgage life insurance. This is a unique type of life insurance. If you die before paying off the mortgage, the insurance policy pays off your balance. If you’re the head of the household, have dependents, or if others rely on your income, this policy ensures that your loved ones have a place to call home after you’re gone. The cost of mortgage life insurance varies depending on several factors, such as your age and the amount of your mortgage. Therefore, a smoker might pay more for a policy than a non-smoker. But even if you’re young and healthy, mortgage life insurance is expensive. You’ll have to speak with an insurance agent for a quote. But to give an idea of what you might pay, a 35-year-old non-smoker could pay as much as $750 a year for a policy, which breaks down to about $60 a month. This is in addition to mortgage payments paid to the lender. This might not seem like a bad deal—at least not until you learn the cost of getting a term life insurance policy. 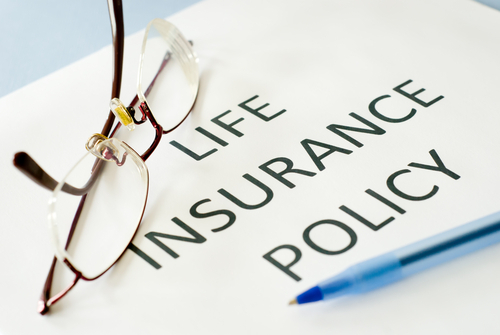 Term life insurance policies are considerably cheaper. For example, a 35-year-old healthy non-smoker might get a $500,000 term life policy for as little as $20 a month. His beneficiaries receive a death benefit upon his death, which can be used to pay off the mortgage. Before getting a mortgage life insurance policy, there’s something else to take into consideration. Unlike a whole or term life insurance policy—which has a level death benefit—the value of mortgage life insurance decreases as you pay down the balance. If you purchase a house for $200,000 and die five years later after paying down your balance by $25,000, your policy doesn’t pay the original balance. It only pays what you owe on the mortgage at the time of your death—in spite of the fact that you paid the same premium over the years. Unfortunately, mortgage life insurance doesn’t offer flexibility. These policies can only be used to pay off the mortgage balance. It cannot be used to pay off other debts or cover future expenses, such as your kid’s college education or wedding. This type of flexibility is only possible with a traditional life insurance policy. With these policies, your beneficiaries can use funds for any purpose. Even though mortgage life insurance is expensive and doesn’t offer flexibility, it makes sense in certain circumstances. If you apply for a term or a whole life insurance policy, there’s often a medical underwriting process before the company approves the policy. And unfortunately, it can be difficult to get a life insurance policy if you have poor health. Medical underwriting isn’t generally required for mortgage life insurance, so this type of insurance is an option when you’re not eligible for a term or a whole life policy. It’s true that you’ll pay more for mortgage life insurance, but you’ll also have peace of mind knowing your loved ones can grieve without worrying about the home loan. If you want to reduce your mortgage rate and monthly payment, or if you need cash for home improvements, refinancing your mortgage may seem like the solution. But although refinancing can achieve some of your goals, they are reasons to think twice before refinancing your house. Refinancing is the process of getting a new home loan to replace an existing loan. A new mortgage with new terms can be financially rewarding, but refinancing isn’t for everyone. Here is why you should think twice before refinancing. Many people refinance with hopes of getting a lower interest rate and reducing their monthly payments. This improves cash flow, and borrowers can use extra money to pay off other debts or build their emergency savings accounts. It’s important to realize, however, that a low interest rate isn’t a right—it’s a privilege. And unfortunately, refinancing to a lower interest rate requires a good credit score. Before you apply for a new mortgage, check your credit report and credit score to see where you stand. Depending on the lender, you’ll need a minimum credit score of 680 to 700 to qualify for the best mortgage rates. You can improve your credit by paying bills on time, disputing errors on your credit report and paying off consumer debt. Some homeowners don’t count the cost of refinancing. Since the process creates a new mortgage loan, you’re responsible for paying closing costs. This can range from 2% to 5% of the mortgage balance. You can pay closing costs out of your own funds, or include the cost in your new mortgage balance. The fact that refinancing involves fees shouldn’t be a deal breaker—as long as you plan to live in the home long enough to recoup these fees. It doesn’t make sense to refinance and spend thousands when you plan to move within the next year. To determine whether refinancing makes sense, divide the monthly savings after refinancing by the amount of your closing costs. If refinancing reduces your mortgage balance by $250 a month and you paid $7,000 in closing cost, you’ll need to live in the home for at least 28 months to break even. A cash out refinance lets you tap your equity without selling the home. In most cases, you can borrow up to 80% of your home’s value. You can use funds for debt consolidation, home improvements, business start up, college tuition, etc. Understand, however, that a cash out refinance increases your mortgage balance and reduces your home’s equity. For that matter, you should think twice about refinance if local home values are declining. If your home value drops before you’re able to pay down your new mortgage balance, you could end up with an upside down home loan—where you owe more than the home’s worth. You should also think twice about refinancing if your mortgage has a prepayment penalty. Some mortgage lenders include this penalty to discourage borrowers from refinancing their homes too soon, thus allowing the bank to collect a certain amount of interest on the property. The good news is that prepayment penalties don’t apply to every mortgage loan; and mortgage lenders can only charge the penalty for the first three years. 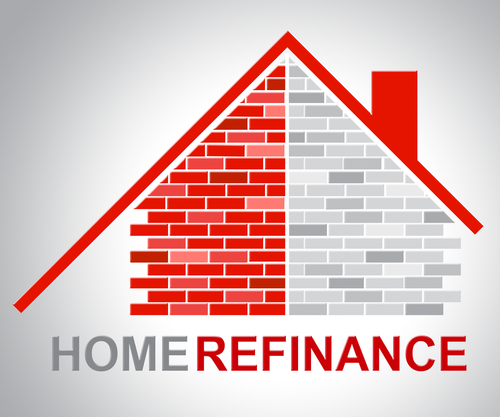 If you refinance during this period, the penalty can be several month’s worth of interest. Before starting the process of getting a mortgage, take a closer look at your overall finances to determine whether now’s the right time. 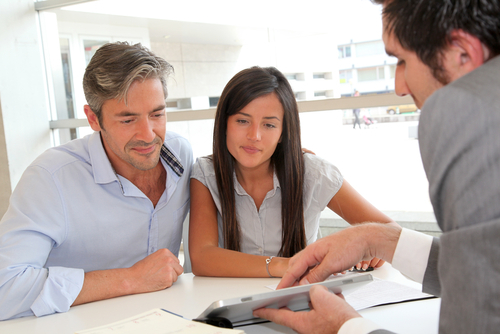 There are various factors to consider when getting a mortgage. If you’re applying for your first mortgage ever, you might be unfamiliar with home loan requirements. But even if you have limited knowledge, there are five numbers to help assess whether you’re eligible for a mortgage. Credit scores range from 300 to 850. The good thing about credit is that you don’t need a perfect score to qualify for a home loan. But while your credit doesn’t have to be picture-perfect, it has to fall within an acceptable range. You can order your credit score from the credit bureaus along with a copy of your credit report. The better your credit score, the better your odds of getting a mortgage. You only need a minimum score of 620 to qualify for a conventional home loan, and a minimum score between 500 and 580 to qualify for an FHA home loan. However, you’ll need a credit score of at least 680 to qualify for a competitive rate. 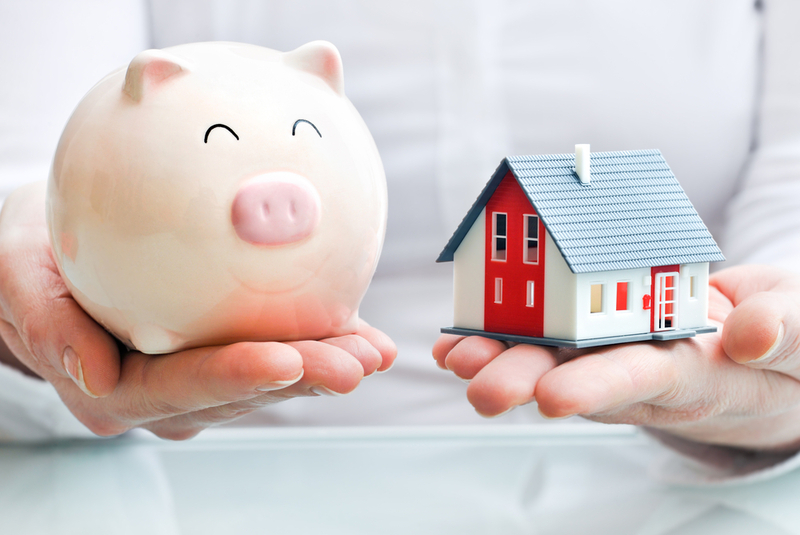 Your assets also determine how much you’re able to receive from a mortgage lender. Nowadays, most mortgage programs require a down payment starting at 3% to 5% for a conventional home loan, and 3.5% for an FHA home loan. Before applying for a mortgage, check your bank account and investments to see how much you can put toward a down payment. If you’re purchasing a $200,000 home with a conventional loan, you’ll need about 5% down or $10,000. Even if you have enough income to afford a sizable mortgage payment, the lender may not approve a particular loan amount if you don’t have enough cash to cover the down payment. A mortgage lender isn’t going to approve your application if the monthly payment takes a great percentage of your gross monthly income. As a general rule, your home mortgage payment can be no more than 28% to 31% of your gross monthly income. So if you’re thinking about buying a home with a $1,500 monthly payment, your gross income must be at least $4,500 a month. You also need to think about your future plans. In other words, how many years do you plan to live in the house? Knowing this information beforehand can help you decide between a fixed-rate or an adjustable-rate mortgage. An adjustable-rate mortgage starts off with a lower interest rate, which can result in a cheaper monthly payment. This low rate is only fixed for the first 3 to 7 years, and then the rate reset every year thereafter. Adjustable-rates are unpredictable. As market interest rates rise, so does your interest rate and monthly payment. These mortgages are financially beneficially if you move before your first rate adjustment. But if you plan to live in the home long-term, a fixed-rate mortgage is a safer alternative because the rate doesn’t change over the life of the loan. Too much consumer debt also has a negative impact on your ability to qualify for a mortgage. As mentioned, your mortgage payment can be no more than 31% of your gross monthly income. In addition, your total monthly debt payments cannot exceed 36% to 43% of your gross monthly income. The more debt you owe, the less you can spend on a house. Debts that affect purchasing power include car payments, student loans, personal loans and credit cards. To qualify for a larger mortgage, develop a plan to pay off as many debts as possible before proceeding with a home loan. A mortgage will be your biggest and most important loan. Getting approved involves a lot of paperwork and you’ll stay in close communication with your loan officer throughout the process. First-time homebuyers are often overwhelmed and don’t fully know what to expect. But with research and pre-education, you can become familiar with the steps involved in getting a home loan. The more you know, the easier it’ll be to navigate the next 30 to 45 days —which is the average time it takes to close on a mortgage. How do you educate yourself? Here are three steps you can take to gain a better understanding of the home loan process. When buying a new home, no one expects you to know everything about mortgage loans. You will have questions and concerns. The good news is that many professionals are willing to assist, including your loan officer and your real estate agent. You can, however, reduce some of the fear and stress of getting a mortgage by educating yourself before meeting with a lender. There are plenty of resources and tools. A quick online search can produce various reputable blogs and publications dedicated to mortgage loan information. You can learn about different home loan products from these sites, down payment requirements for different loans, credit score requirements and other helpful tips to help you make the right choice. Additionally, you can visit bank websites. Several banks that offer mortgage loans have a mortgage FAQ page filled with answers to commonly asked questions. Even if you read mortgage articles and blogs, you may still have questions. At this point, schedule a sit-down meeting with a mortgage lender. 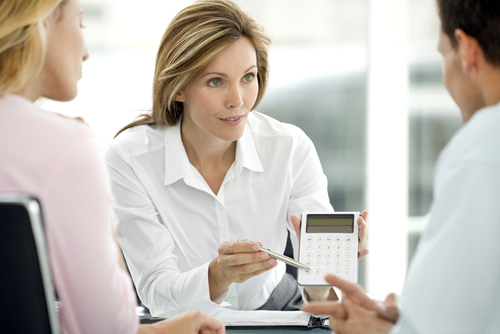 A one-on-one conversation with a loan officer can deepen your understanding of the process. 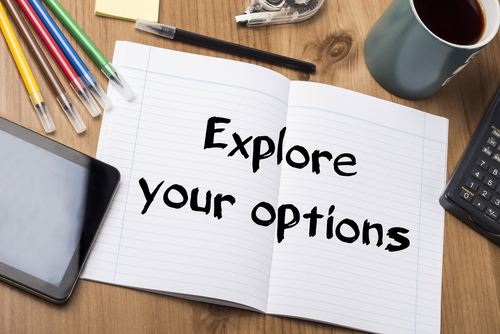 You’ll learn what to expect from start to finish, plus your loan officer can provide clarification and recommend loan products based on your unique circumstances. But don’t meet with one bank. Make plans to meet with at least two or three loan officers from different banks. By doing so, you can compare information and make an educated decision regarding the best home loan for you. Homebuyer education isn’t required for every home loan. Some loan programs, however, require at least one borrower on a loan to complete an online course in homebuyer education. This is the case if you apply for Fannie Mae’s HomeReady program. But homebuyer education isn’t only for people choosing this type of loan—anyone can take advantage of this provision. Several private organizations offer in-class instructions or online homebuyer education. Talk to your real estate agent or mortgage lender for information on local programs. These classes don’t take a lot of time, and can usually be completed within a few hours. You’ll receive unbiased advice on buying a home, plus information on managing a mortgage, improving credit and choosing the best financing. Despite the fact that countless people apply for mortgages every year, the process can be overwhelming and scary. This is a major life decision, so it is normal to have questions. Some first-time homebuyers don’t know where to begin. However, starting the application process for a mortgage is easier than you think. Here are four simple tips for beginning your application for a new mortgage. You don’t have to get a mortgage from the bank that provides your checking and savings accounts. Visit different mortgage or bank websites to explore their products. Read loan descriptions to see which programs you’re eligible for, and to learn about down payment requirements, minimum credit score requirements and limitations. This is an excellent starting point for becoming familiar with a multitude of home loan options. Once you meet with a lender, you’ll have a better idea of mortgage programs that could work for you. 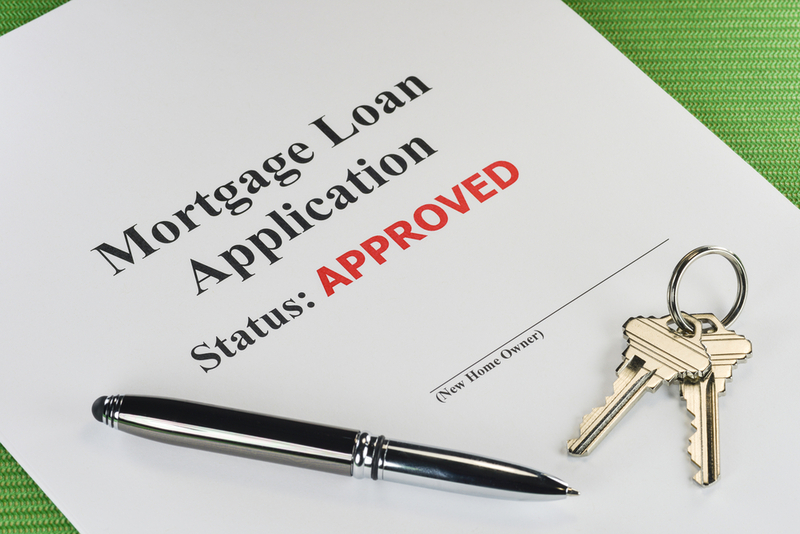 Don’t complete a mortgage application for the sake of completing one. 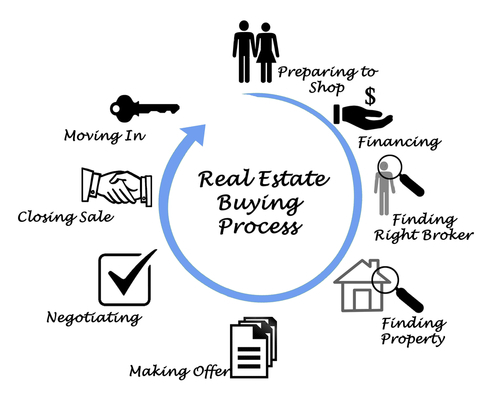 Only start the application process once you are ready to move forward with a home purchase. Before you start your application, make sure you have your paperwork together. This ensures a smoother process. Required paperwork for a mortgage includes two years of tax returns, two months of bank statements and 30 days of paycheck stubs. If you have a short sale, foreclosure or bankruptcy in your past, make sure you’re eligible to apply for a mortgage. Typically, you have to wait at least 24 months after a bankruptcy discharge, short sale or foreclosure to apply for a home loan. After choosing a mortgage program, you can begin the process by completing an online pre-qualification form. This is a preliminary step and an excellent way to learn whether you meet basic qualifications for a home loan. You’ll state your desired home loan amount and your income on the form. The bank conducts a brief credit check, and based on this information, determines whether you pre-qualify for a home loan. A pre-qualification means there’s a good chance that you’re eligible, but there are no guarantees until you complete a formal application. After you’re pre-qualified, the lender(s) you speak with can provide a Loan Estimate that explains the terms you can expect to receive. This includes your qualifying amount, interest rate, estimated closing costs and estimated monthly payment. This form also estimates the cash you’ll need to close. The Loan Estimate is designed to remove any guesswork so you know exactly what you’re getting into. You can get a Loan Estimate from multiple lenders to compare home loans. Once you make side-by-side comparisons, notify the chosen lender of your intent to proceed with the home, and then complete an official mortgage application. The information in the Loan Estimate can change before closing. This is because interest rates fluctuate on a day-to-day basis, so the rate you’re initially quoted might be higher or lower by the time you’re ready to close. It takes about 30 to 45 days to complete the mortgage process. Three days before your scheduled closing date, you’ll receive a mortgage Closing Disclosure form which explains your final loan terms. Compare the Closing Disclosure with your original Loan Estimate and contact your lender if you have any questions. You probably have different options for paying your mortgage loan. This includes writing and mailing a check, making a one-time online payment, or setting up recurring payments so funds are automatically drafted from a savings or checking account. Depending on where you bank, you may also have the option of paying your mortgage with a credit card. This is a convenient feature. But before you enter your 16-digit credit card number, there are a few things you should know about paying your mortgage with a credit card. Some people could argue that paying a mortgage with a credit card is absurd and should be avoided at all cost. But the situation isn’t black or white. The truth is, there are times when paying your mortgage with a credit card makes sense. The key, however, is knowing the correct way to approach the situation. Several reasons could justify paying a mortgage with a credit card. Let’s say you’re a self-employed worker or an employee who only gets paid once a month. In a perfect scenario, you’d receive your paycheck before bills are due. But things don’t always happen according to plan. Rather, your paycheck or direct deposit might be scheduled for a couple of days after your mortgage due date. You have a choice: either pay your mortgage late or use a credit card to tide you over until funds arrive. Ideally, we should have an emergency savings account for these types of situations. But if you don’t have access to funds, using a credit card is the lesser of two evils. Paying a mortgage late results in late fees, which could be as much as $30-$50 depending on your mortgage lender. And if your mortgage payment is more than 30 days past due, your lender will report the lateness to the credit bureaus and your credit score could drop as much as 100 points. Using a credit card to pay your mortgage can prevent late fees and a damaged credit score. To be abundantly clear, you should only use a credit card if you’re able to pay off the charge as soon as your paycheck arrives. You shouldn’t carry a mortgage payment on your credit card for longer than a few days. This can increase your debt load, and you could end up paying double interest—interest to your mortgage lender, as well as interest to your credit card company. Paying a mortgage with a credit card is also worth consideration if you have a credit card that lets you earn reward points redeemable for hotels, airfare, merchandise and statement credit, or if you have a cash back credit card. Since your mortgage is likely your biggest monthly expense, you can earn reward points faster. The more reward points you earn, the more you can save in other areas. But again, this approach is only cost-effective when you pay off the credit card within a couple days of using it for your mortgage payment. It’s important to note that not every mortgage lender allows credit card payments, and some that do charge a fee for this service. Talk to your lender and inquire about service fees. Some homebuyers focus their energy on finding a house within a specific price range. But while getting a fair price for a property is important, it’s also advantageous to secure a low-rate, affordable mortgage loan. Mortgage interest rates vary from lender to lender. This is why it’s crucial to shop around and compare home loans offered by different lenders. These lenders include big banks, community banks, credit unions and online lenders. After completing a pre-qualification form, these financial institutions can evaluate whether you’re eligible for a home loan, and provide a rough estimate of what you can expect to pay with regard to interest and fees. Interest affects how much you pay on a monthly basis and over the life of the mortgage. Mortgage fees, or closing costs, include the lender’s loan origination fee, credit application fee, appraisal fee, attorney fees, etc. Purchasing a home is a major investment, and sad to say, mortgage-related costs can drain your savings. Comparison shopping, on the other hand, can help you procure a low-rate mortgage, plus save on lender fees. Every time you contact a lender to request a rate quote, the bank will pull your credit report. You might already be aware that too many inquiries can hurt your credit score. Typically, each inquiry reduces credit scores by a few points. The number of points lost per inquiry varies depending on the type of pull. What’s more, an inquiry can remain on your credit report for up to two years. This knowledge stops some homebuyers from requesting multiple mortgage quotes. You shouldn’t let your fear of inquires prevent comparison shopping. If you never compare loan offers, there’s no guarantee that you’ll find the most favorable rate or the lowest fees. The good news is that shopping for a mortgage doesn’t have to damage your credit score. But to avoid credit damage, you have to compare mortgages the correct way. While checking your own credit doesn’t hurt your credit score, it’s a different story when a lender checks your credit. Each credit pull can lower your score by as little as two points, or as much as five points. So it’s important to only apply for credit when necessary. Many financial experts recommend rate shopping when applying for a mortgage. If you fear hurting your credit score—don’t. You can successfully shop for a mortgage loan without damaging your credit score. This is because credit scoring systems are designed to recognize actions that are characteristic of rate shopping. Furthermore, FICO scoring models don’t penalize consumers for being smart borrowers. The secret, however, is requesting multiple quotes within a specific window of time. 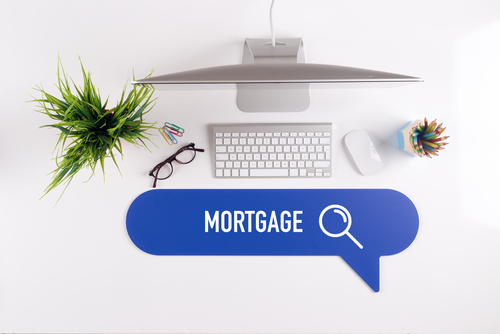 In the case of comparison shopping for a mortgage, similar inquiries that occur within a 45-day period are counted as a single inquiry for scoring purposes. A mortgage pull can take five points off your score. So if you apply with 10 mortgage lenders within a 45-day window, rather than lose 50 credit score points, you only lose five points. Understand that this provision typically only applies to mortgages and auto loans. So while you wouldn’t want to apply for too many credit cards in a short span of time, you can apply for as many mortgages as you like within a six-week period. What Income is Considered When Buying a House? Mortgage rates are at historic lows, so now’s as good a time as ever to take the plunge and purchase your first property or buy another home. Since job stability and regular income are paramount if you’re thinking about a home purchase, make sure you have your financial house in order before meeting with a mortgage lender. Good credit helps you qualify for a mortgage and receive a low interest rate, but lenders also evaluate your income to determine how much you can spend on a house. For that matter, you need to know which types of income a lender uses when qualifying applicants. If you’re an employee and receive a W-2, your mortgage lender needs documented proof of this income. This includes copies of your tax returns from the past two years, as well as paycheck stubs for the past 30 to 60 days. Typically, you must be gainfully employed for a minimum of two consecutive years to qualify for a mortgage. If you switch jobs during this two-year period, you must remain in the same field and your income must stay the same or increase. It’s important to note that a lender qualifies you based on regular income, not overtime pay. Since overtime pay can change from week to week or month to month, lenders don’t consider it a reliable source when determining mortgage affordability. Although it’s more challenging for self-employed people to qualify for a mortgage, a home loan isn’t unattainable for these borrowers. The key is good record keeping and providing the lender with sufficient proof of income. If you are self-employed and don’t receive income from an employer, lenders will rely solely on information in your tax returns to qualify you for a mortgage. You’ll need to provide two years of complete tax returns including all schedules. Lenders use your income after business expenses or deductions to determine how much you can afford to spend on a house. Therefore, you might limit your number of tax write-off’s for two years prior to purchasing a home. Write-offs reduce your taxable income, which can make it appear that you earn less than you do. If you’re active-duty military, you can also use this income for qualifying purposes. In addition to your regular salary, your lender will count any housing and food allowances you receive as income. Support payments also count as income when applying for a mortgage loan. There are, however, stipulations for using this income. Typically, mortgage lenders only count this income if there’s a court order and you have written documentation confirming the amount you receive each month. In addition, you must provide a paper trail showing that you’ve been receiving support payments on a consistent basis for the past six months to 12 months. Keep in mind that some lenders will only consider support payments if you’ll continue to receive this money for a minimum of three years after closing. Since requirements vary by lender, talk to your loan officer for more information. There are plenty of online resources and tools to help you count the cost of buying a house. A home purchase is a major decision and one of the largest investments you’ll make. Some people fear getting in over their heads. With a purchase of this magnitude, there’s the risk of being house poor. A bank will look at your income to determine your pre-approval amount. But sometimes, lenders pre-approve applicants for more than they can afford, so you have to use discernment. The good news is that an online mortgage calculator can help you decide a comfortable amount to spend on a property, as well as provide information about mortgage costs. 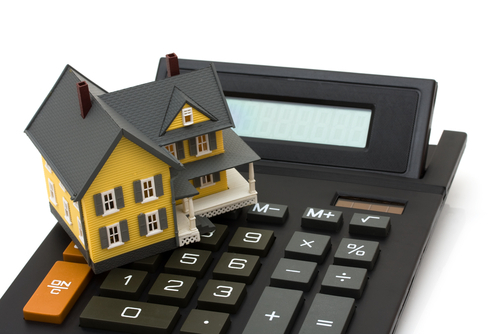 Here are four ways to utilize a mortgage calculator when shopping for a home loan. A mortgage calculator takes three variables into consideration: sale price, mortgage term and interest rate. This is an excellent tool for estimating your mortgage payment. If you are familiar with average prices of homes in your area, but not sure if you can afford to purchase within this range, a mortgage calculator provides a rough estimate of what you can expect to pay. Simply plug in different sale prices and provide additional information, such as the term, down payment and interest rate. Some mortgage calculators are more advanced than others and include estimates for property taxes, homeowner’s insurance and private mortgage insurance. Be aware, however, that some calculators do not provide this information, and only calculate principal and interest payments. There’s no way to know with certainly the interest rate you’ll pay until you’re ready to close on a mortgage. But for the purpose of using a mortgage calculator, you can estimate your interest rate based on your credit score. A quick online search can provide information on average mortgage and refinance rates. With this information, you can play around with the numbers to see what your mortgage payment may look like at different price points. 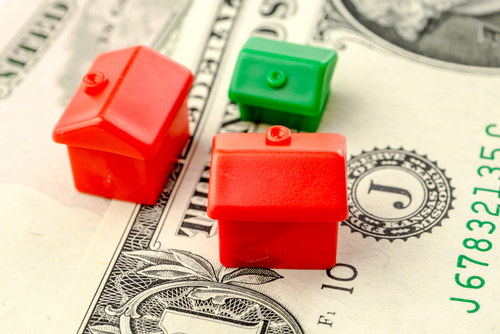 Based on the results, you can determine a reasonable amount to spend on a property. A 15-year mortgage typically results in a lower interest rate, plus you can pay off the home faster and build equity sooner. But since you’re slashing your mortgage term in half, you’ll pay more on a monthly basis. With the help of a mortgage calculator, you can compare mortgage payments based on a variety of terms, and then choose a term that works with your budget. After comparing multiple terms, you might realize a shorter mortgage term is more affordable than you thought. This feature of a mortgage calculator is particularly helpful if you’re refinancing your home loan and you don’t want to reset the clock with a 30-year term. Some mortgage calculators include an amortization table that breaks down principal and interest payments over the term. If you can’t decide between a 30-year and a 15-year mortgage, this feature lets you compare the cost difference of both options. An amortization table is also useful for comparing the cost of a biweekly mortgage with a traditional monthly payment. A biweekly mortgage involves paying half your mortgage every two weeks. This results in one extra payment a year and reduces your mortgage term by six or seven years. If you want to pay off your home loan sooner, but don’t want to commit to a biweekly mortgage, some mortgage calculators include an advanced feature designed to help you pay off your mortgage faster. Based on your current balance and a target payoff date, these calculators determine how much you would have to pay extra every month to pay off the home loan early. Some calculators even let you decide the amount of extra payments. You’ll see how different payment amounts affect your payoff date, and you’ll learn how much interest you can save by making extra principal payments. 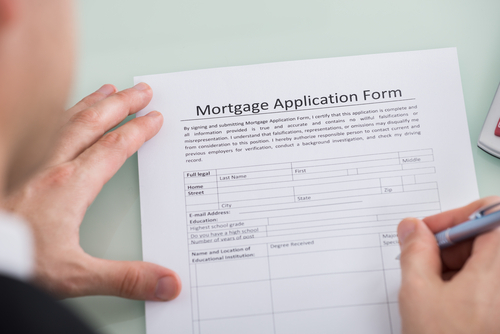 Getting a mortgage and buying a home requires proof of employment and a regular income source. However, it takes more than a job to qualify for a purchase. You also need a credit history. A lender will use your credit history to determine whether you can be trusted to repay a mortgage loan. 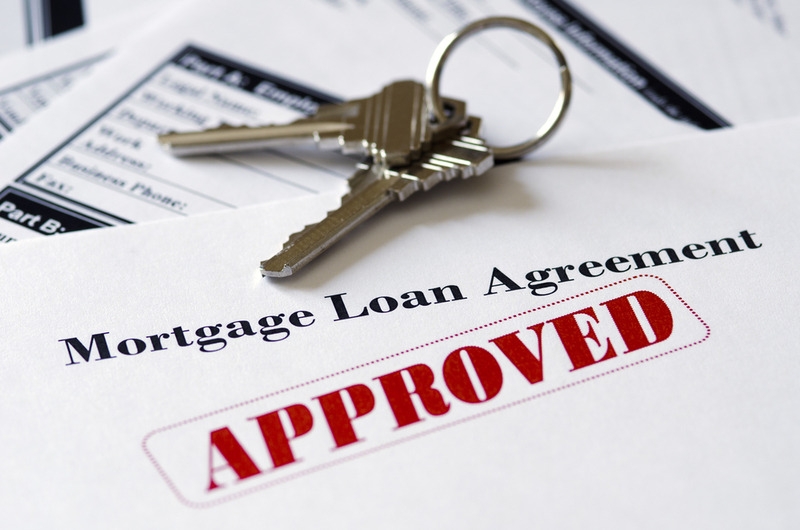 Some people apply for a home loan without understanding how credit affects a bank’s decision. The more you know about credit, the more you can prepare for a home loan. Here are four things you should know about credit and buying a house. Some people put off purchasing a home because they think their credit has to be perfect to qualify for the loan. This isn’t the case. It’s true that most lenders will not approve your application if you have more than one 30-day late payment within the past 12 months. They will, however, consider an approval if you have a minimum credit score of 620 (500 to 580 if you’re applying for an FHA home loan). So if you’ve had credit problems in the past, but you’re improving your credit habits and slowly building your FICO score, you can purchase a home despite a less-than-perfect score. Your mortgage interest rate determines your monthly payment, as well as how much you pay in interest over the next 30 years. To get the best rate, you need a high credit score. So while it is possible to qualify for a mortgage with a low credit score, you’ll also pay more because of your lower rating. If you can, postpone purchasing a house until you’re able to increase your score. This may involve delaying a purchase for one or two years. In the end, you’ll qualify for a lower rate, which can increase purchasing power and help you save on interest. Be aware that your home loan lender will check your credit report twice. The first credit check occurs when you initially apply for the mortgage. This includes a review of your credit score, payment history and debt ratio. The lender will check your credit again a few days before closing. So it’s important to maintain good credit from the time you apply up until closing. Continue to pay your bills on time and don’t add new debt. If negative information hits your credit report after a pre-approval, this can jeopardize your mortgage approval. If you plan to buy a home in the future, now’s the time to check your credit report. You should check your report at least six to 12 months before applying for a mortgage loan. This provides time to correct errors on your report and dispute fraud. Being a victim of fraud or a creditor error can hurt your chances of getting a mortgage. You’ll need to correct these issues before a bank will approve your home loan request. Fortunately, checking your own credit report doesn’t count as an inquiry. You can order one free report from each of the bureaus by visiting AnnualCreditReport.com. A foreclosure is a traumatic experience, especially if you did everything in your power to remain current on your home loan and keep your property. Unfortunately, if you default and miss several mortgage payments, your lender has no choice but to foreclose. A foreclosure has an effect on your future, but the damage doesn’t last forever. It is possible to rebuild your credit, and luckily, the foreclosure disappears from your credit report after seven years. But although your long-term outlook may seem brighter, you’ll still have to deal with the immediate effects and understand how a foreclosure affects your future now. After a foreclosure, it may be harder to rent a house or an apartment. Some landlords check credit reports, so they’ll likely see a foreclosure in your recent past. As a result, they may charge a higher security deposit or require a cosigner on the lease. A cosigner is someone with an excellent credit history. This person doesn’t have to occupy the home or apartment, but they are responsible for the rent payment if you terminate the lease early. Foreclosures can destroy your credit score. And unfortunately, the higher your credit score before the foreclosure, the more points you’ll lose. On average, a foreclosure can reduce your credit score by as much as 300 to 200 points. There are many causes of a home foreclosure, and in most cases, a foreclosure has nothing to do with your level of financial responsibility. 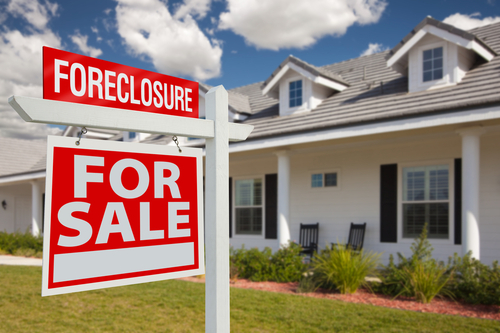 A foreclosure can happen after a job loss, a divorce or an illness. But even if you get back on your feet soon after losing your home, it can be a while before you’re able to purchase again. Typically, you’ll have to wait between three and seven years before you can qualify for another mortgage. The wait period depends on the type of home loan and the lender. For example, if the foreclosure was due to extenuating circumstances such as an illness, and your mortgage was current before this setback, a lender may approve your home loan application after only three years. However, other lenders might not offer an approval until after you’ve hit the seven-year mark. If you’re able to qualify for another mortgage before a foreclosure falls off your credit report, some lenders will require a higher down payment, despite the fact that you’ve rebuilt your credit. These lenders may require a minimum down payment of 10% instead of the normal 3.5% and 5% which is typical with FHA and conventional home loans. Not only does a home foreclosure make it harder to rent an apartment, it can also affect other areas of your life. A bad credit rating makes it harder to qualify for certain types of jobs, especially those in the finance industry. Additionally, if you apply for certain insurances, you may pay a higher premium. Some utility and cell phone providers will also require security deposits because of your lower credit rating. A 30-year mortgage is a favored product for many homebuyers. And since these mortgages offer comfortable, affordable mortgage payments, many lenders recommend this type of loan. But you shouldn’t select a 30-year mortgage simply because a lender dangles it in your face. 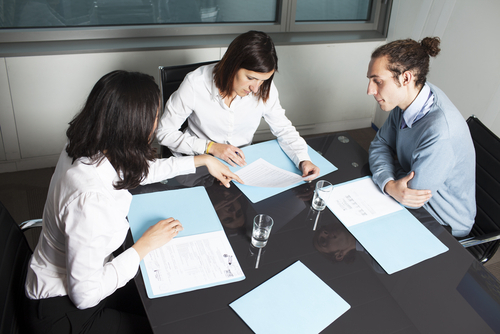 It’s crucial to have an in-depth dialogue with your loan officer and familiarize yourself with various products. After a little research, you may come to the realization that another mortgage program is a better fit for your situation. Here are three possible alternatives to a 30-year mortgage. A 30-year fixed-rate mortgage might be appropriate if you’ll live in the house long-term, and if you’re looking for a reasonable monthly payment and an interest rate that doesn’t change. But if you know you’ll sell the house within three, five or seven years, talk with your lender to see if you’re a candidate for an adjustable-rate mortgage. ARMs aren’t the right fit for everyone. A hallmark feature of these mortgages is the temporary fixed rate followed by periodic rate adjustments. Many fear and keep away from adjustable-rate mortgages because of their unpredictable nature. But if you rarely live in one place for too long, or if you relocate often for work, an adjustable-rate mortgage can make sense. These mortgages have cheaper interest rates than fixed-rate mortgages. With that being the case, you can live in the house for a few years, benefit from a low mortgage payment, and then sell the house before your rate adjustments begin. A 15-year mortgage results in a higher mortgage payment, so this loan isn’t right for everyone. But if you can afford a higher payment, and you like the idea of paying off your home sooner and building equity faster, ask your mortgage officer to crunch the numbers and learn whether you can fit a 15-year (or even a 20-year) mortgage into your budget. A 15-year mortgage might be ideal if you’re retiring in the next 10 to 15 years and you don’t want to drag a mortgage payment into retirement. These mortgages aren’t as common as they were in the mid-2000s, but they are making a comeback. Not every lender offers this mortgage. However, if you find a lender willing to give borrowers 40-year financing, one benefit of these loans is that you can get into an affordable house sooner. But since you’re extending your mortgage 10 years beyond what’s considered a normal term, you’ll also build equity much slower. If home values fall before you can significantly pay down the balance, it might be difficult to sell the property. While a 40-year mortgage can be the key to a more affordable payment, you should make every effort to pay off the house sooner, which can help you build equity and reduce your interest charges. For example, gradually increase your mortgage payment as your income allows. Getting your mortgage from an online-only lender is one way to get a lower interest rate. These lenders don’t have brick-and-mortar locations, and less overhead means they can afford to offer their customers cheaper rates. This can result in a less expensive monthly payment for you, and you’ll pay less interest for your house. Some online lenders also streamline the process, making it simpler and faster. But before you apply for a mortgage online, there’s a few things you should know. It doesn’t matter if an online mortgage company has several commercials or a fancy website, do your research and read reviews to make sure you’re working with a trustworthy company. It can be hard to distinguish a good mortgage company from a bad one. Reading online reviews is a good start, plus you can check with the Better Business Bureau to see if the company has received any complaints. If you have friends or relatives who’ve recently used an online mortgage company for a purchase or refinance, get recommendations. If they had a positive experience with their mortgage company, you may have a similar experience. When you visit an online lender’s website, you’re prompted to complete a pre-qualification form. You’ll provide “stated” information about your income, debt and credit health. Based on this information, the company determines whether you’re a desirable candidate. But getting pre-qualified for a mortgage doesn’t guarantee a mortgage approval. The pre-qualification is the first step. For a better idea of whether you’re eligible, you need to provide the lender with supporting documentation. This includes your most recent tax returns for the past two years, two to three month’s of bank statements and your recent paycheck stub. The underwriter will then review your credit history and issue a formal pre-approval letter if you meet the qualifications. Online mortgage lenders offer a variety of lending products, so you’re sure to find what you’re looking for. Just about every bank will have a selection of popular products such as an FHA home loan, a conventional home loan and a VA home loan. But some mortgage lenders also have specialty products. For example, in addition to a 3/1 or a 5/1 ARM, you might find an online lender that offers a 10/1 adjustable-rate mortgage, which lets you enjoy a fixed rate for the first 10 years, and then your rate resets every 10 years. Or you might stumble upon a lender that offers zero down home loans to non-VA and non-USDA eligible applicants, providing these people have excellent credit. Not only should you compare different online mortgage lenders to find the right product, you should also shop around and get free no-obligation quotes from different lenders to compare interest rates. Since interest rates vary from lender to lender, plan to speak with at least two or three banks before making a decision. If you only contact one lender, you could end up paying more for your mortgage than necessary.